Africa 's underdevelopment can be attributed to a host of causes. Some would point to exogenous factors, such as practices of the International Monetary Fund, the World Bank, or the policies of the world's economic superpowers. I would like to focus on the highly relevant yet rarely considered endogenous factors. 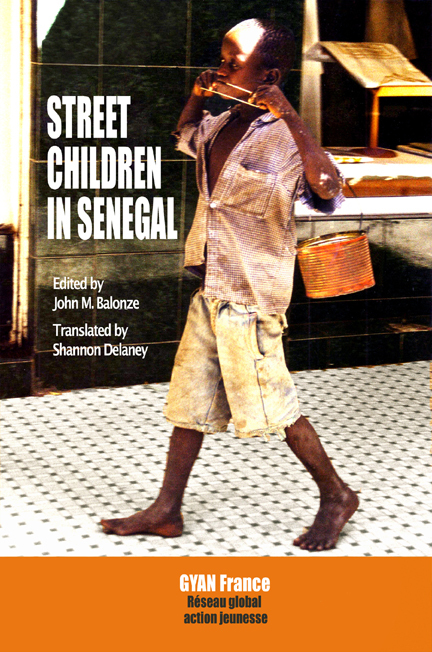 Specifically, I hope to bring to light one local practice plaguing Senegal and its neighboring countries: the dramatic, disastrous, disquieting, and shocking phenomenon of Africa 's street children. Who are these thousands of abandoned children and where do they come from? Where are their caretakers to be found while these children roam the streets? How can Senegal realize sustainable development when its children are denied basic rights, education, and health care, the pillars of any successful development strategy? The talibés' "pots rouges," or red cans, have become their emblem. The children that any visitor to Senegal will quickly notice, commonly referred to as "talibés" in local dialects, are sent by their families to live in the dwelling of a marabout , or a Muslim ascetic who is charged with giving these children a Koranic education. Families send their sons off to live with marabouts for a variety of reasons and under various pretexts. One of these involves a deep-rooted tradition whereby families send their sons to become introduced to the values and practices of the Muslim faith. The marabouts traditionally teach the talibés to read and write Arabic, to memorize the Koran, and to live a life in accordance with two of Islam's principal values: humility and endurance. The harsh conditions under which the children live leads to the development of a deep humility and an endurance that would overcome life's hardest tests. Other parents are simply unable to raise their children; financial difficulties and other burdens are too heavy. Sending their children to a marabout who claims to initiate the children to the Muslim faith is a culturally acceptable alternative to abandoning or otherwise neglecting their children. Many West Africans consider the years spent with a marabout to be part of a respectable tradition and even a necessary phase in the development of an individual. Parents sending their children to a marabout would find acceptance and approval from the Senegalese; from the taxi driver to the student, the Senegalese respect what they consider a well-anchored tradition and important stage for the children. In reality, however, the children are far from receiving an education or achieving any kind of general development. They live in deplorable conditions; they are runny-nosed, unkempt and spend more time barefoot in the streets under the blazing sun than studying the Koran or learning how to read or write. Sent by their marabouts, they wander the streets, approaching residents and tourists with open palms, begging for money, from dusk to dawn. Today, the official report does not bode well: these children are far from literate and their health is in a constant state of fragility and risk. A perfect illustration is the ravaging effect of malaria each year within the Senegalese talibé populations. Although children were once taught discipline and endurance, today, they are subjected to severe mistreatment and physical abuse. It is not uncommon to hear of cases of abuse of the talibés throughout the region. Radio France International reported the case of one young talibé tortured with blows of a thin leather strap by his marabout and shut in for seventy two hours with nothing to eat or drink. The marabout stated that he was teaching the student to become "humble." Such reports no longer shock the community; they are expected of the marabouts. Although such stories are tragic, they are common within the heart of the Daara system. What is even more disturbing is the prospect that much more abuse takes place every day than can ever be reported by the media. If, at the origin of the tradition, the children begged to learn humility, discipline, and the values of an ascetic life-all fundamental values of Islam-today, they beg to benefit the marabouts' personal accounts, creating what is locally referred to as le marché de l'aumône ("the market of alms "). 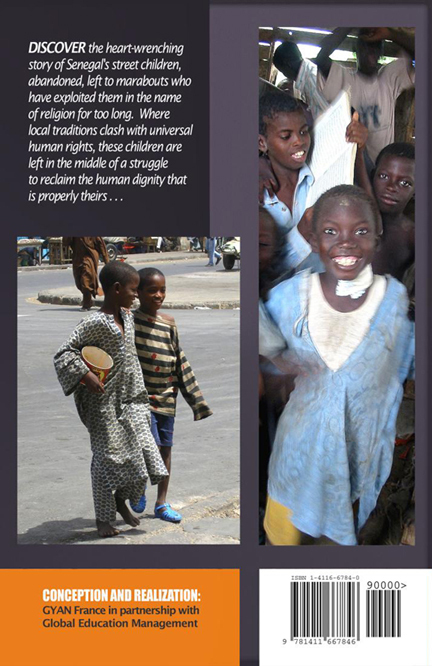 Visitors and inhabitants of West Africa 's chief cities are constantly solicited by these children to give money that many of the children will never benefit from or even see once surrendered to the control of the marabout. The authorities have closed their eyes to a desperate situation. 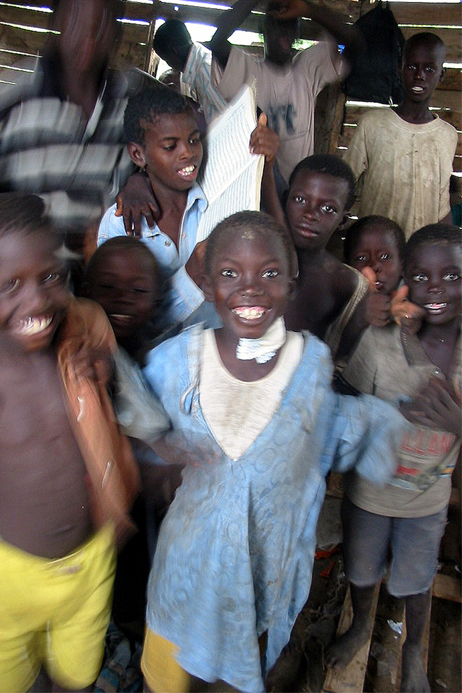 The talibés make up the grand majority of street children throughout Western Africa. In 1977, a census conducted by the Secretary of Human Services of Senegal found that 6,300 talibés between six and fourteen years old roamed the streets of Dakar, the capital of Senegal, begging for food, money and other donations. This figure has grown exponentially. The government of Dakar estimates that today, approximately 90,000 talibés, or 6% of the total population of Dakar, can be found on its streets. According to another study realized in collaboration with the United Nations Children's Fund (UNICEF) in 1991, approximately 100,000 talibés can be found on the streets of Dakar. These children are boys three to fourteen years of age, coming principally from the poorest regions of Senegal as well as from Senegal 's neighboring countries, including Mali, Guinea, and the Gambia. Talibés that have not migrated from other regions of Senegal or from abroad represent only 3.11% of the talibés of Dakar. With the condition of their shelter in such a precarious and uncertain state, the talibés can for all practical purposes be considered homeless. As one talibé has said, the Daara is an "unfinished shelter." The talibés sleep on mats, one on top of the other. 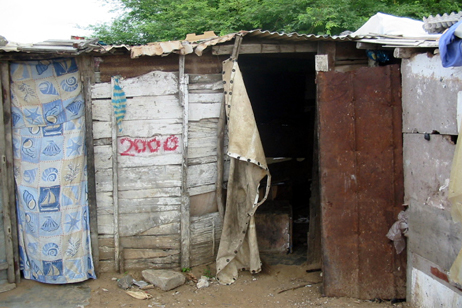 The fortunate few live in improvised huts, but these huts, often with no roof, do not protect them from the outside elements. Others sleep on the grounds of courtyards under the stars, but even in Senegal, the winter nights can become relatively cold. There are also those that sleep in provisionary shelters, garages, on the streets, or in construction sites where work has been suspended. The exterior of one Daara's shelter. The talibés' poor hygiene and lack of nutrition have caused countless different diseases, including malaria, fevers, itching, and cholera, among others. The children rarely, if ever, benefit from vaccinations and other preventative procedures. In general, because their shelters are characterized by a lack of running water, some talibés will go weeks without bathing, especially during the cold seasons. 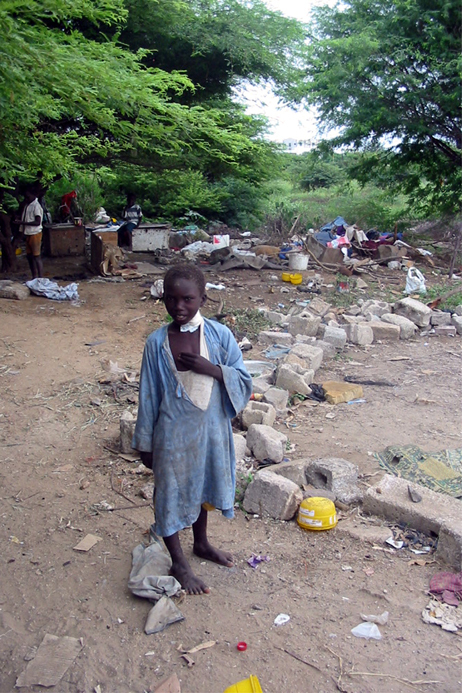 Their poor hygiene exponentially increases their risks of developing infections whenever the children are cut or wounded. The talibés are maintained in a constant state of disorder and disarray. Their clothes are old, torn, and tattered, and are rarely washed. Some talibés will try to wash their own clothes, but almost never with soap. They rarely wear shoes, and if they do, it is purely accidental. They walk throughout the city barefoot, under the constant risk of being cut by stray glass or debris. Perhaps to increase profits, the marabouts keep the talibés in a disheveled state: the more miserable the children appear to be, the more sympathetic donations they receive. The talibés devote an average of ten hours per day to their principal activity: begging on the city streets. The time spent on the streets is a direct cause of their illiteracy and general lack of education. According to research conducted by the United Nations Children's Fund (UNICEF) and la Direction de l'action sociale (DAS) in 1999, the talibés devote no more than thirty percent of their time towards memorizing the 604 pages of the Koran. Children who fail to bring a fixed sum of money back to their marabout at the end of each day, as well as those who demonstrate a lack of discipline, are often subjected to terrible corporal punishment. The majority of talibés carry scars on their bodies, permanent reminders of punishments for their past acts and deeds. The typical day of the talibés begins at 5:00 in the morning, when they awake and are taught the Koran. In the urban areas, Koranic education tends to take place in the courts of homes and verandas, in garages, on pavements, or under trees. Most Daaras near Dakar do not have fixed localities, and when they do, they are characterized by their minimum provisions and temporary natures. By 8:00, the talibés are sent off to the streets, where they search for their breakfast, with empty tin cans to solicit food, money and other donations. From 14:00 to 16:00, they return to their Daara, where they continue to study the Koran. At 16:00, they return to the streets to beg until the sun sets. What is the proper response to a phenomenon that is hurting Senegal 's children? How can the lives of the talibés be ameliorated? How can they be guaranteed a better future without disrupting local traditions? How can the abuse of young talibés be put to an end? Amadou Makhtar Mbow, the former Director-General of the United Nations Educational, Scientific, and Cultural Organisation (UNESCO), declared that the talibé phenomenon could be solved if the authorities assumed their responsibility and broke down society's wall of indifference. He finds the talibé phenomenon to be "scandalous." In 1977, the Senegalese government considered granting the Koranic schools a legal status similar to that of private schools. Such a move would significantly ameliorate the talibés' educational conditions. Steps were taken to pressure Koranic schools to stop sending children to beg on the streets, and to create public funds to provide for the children's needs directly. However, fearful of the marabouts' use of these funds for their own personal use, the public authorities abandoned this idea before it was brought to fruition. What does the future hold for children hailing from Mali, the Gambia, or from Senegal 's poorest regions, whose parents left them to be raised by a marabout of Dakar? If some students at the l'Université de Dakar admit that they were once talibés, they are the exceptions: most talibés are unable to go on to higher education. It is necessary to work towards providing these children the opportunity to attain an education and a vocation. To reach that goal, it is necessary to reinforce local actions in partnership will all interested agencies and parties, in order to improve this desperate situation. Leaders who can at the same time preserve local traditions yet speak out with moral clarity are greatly needed to arouse people's consciences.